Complied by members of the Friends of Kersal Dale. The earliest map found, a composite dated 1755-1840, shows Kersal Dale as a series of fields: Work Field at the Great Clowes Street gateway; Round Meadow at the Radford Street entrance; and Great Meadow at South Radford Street. As industrialisation brought rapid growth to both Manchester and Salford in the nineteenth century, the Clowes family decided to develop their land in Broughton, but only for grand houses and suitable public buildings, such as St. John’s Church. 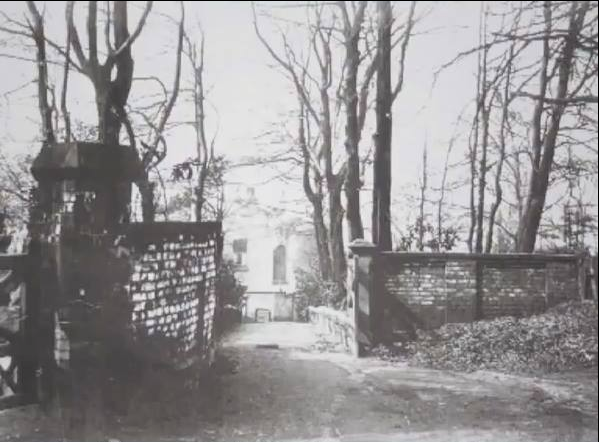 Kersal Dale was developed, in part for golf and in part for homes for the wealthy. Elsewhere along the Irwell, people lived and worked in squalor. For example, nearby, at Douglas Green Weir, was Douglas Mills, founded in the late eighteenth century and nicknamed ‘The Cripple Factory’, where children obtained from London workhouses were over-worked in horrible conditions. The first development on the site was the founding of Manchester Golf Course (sometimes called the ‘Kersal Links’) in 1818. The Golf Course was the oldest club between the Thames and the Tweed. The Course ceased to exist in 1960. In 1847, Manchester Racecourse opened in the River Irwell’s meander, on the opposite bank to the Golf Course. (The original racecourse was established in the seventeenth century on Kersal Moor.) In 1867, the course moved to Weaste because the land had been acquired by the Fitzgeralds of Castle Irwell. Edward was the English translator of Omar Khayyam’s Ruba’iyat. His less famous, but more eccentric, brother, John, disapproved of horse racing. On Fitzgerald’s death in 1898, the land was bought back by the Racecourse Company and, in 1902, racing returned to the site. The course was extended and stables were built opposite the Cliff, on Kersal Bend. Castle Irwell, built in 1826, was demolished, as was most of the wooded knoll which it occupied. The shadow of that knoll can still be seen by looking across the river from the end of Hugh Oldham Drive. East of the Golf Course, on the land bordering Bury New Road, an 1848 map shows us three houses - Kersal Lodge, Walker’s Croft and Kersal House - in landscaped gardens with pools, fountains and statues. 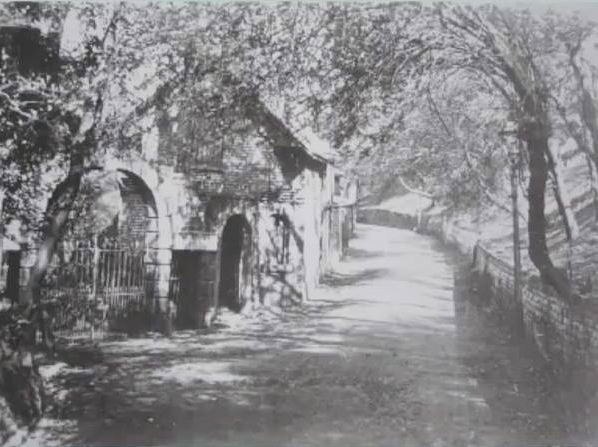 By 1851, Sycamore Cottage had been built, (just at the foot of the steps down from the Great Clowes Street entrance). Kersal Dale Villa first appears on an 1888 map, built behind Walker’s Croft, which was, by then, called Willow House, possibly because it had been either extended or re-constructed as a larger house. As Bracegirdle notes, “In the early decades of the nineteenth century the owners of the new industries often built their homes along pleasant stretches of the Irwell…but increasing pollution from their own factories gradually forced them to retreat to outlying villages”. C. Bracegirdle, The Dark River, John Sherratt and Son Ltd, Altrincham, 1973, p.125 A 1922 map shows all five grand houses still existent, (whether occupied or not), but a 1954 map shows all but Kersal House as ruins. In February 1882, there was a large landslip at Great Clowes Street and Bury New Road. Further slips occurred in 1887 and 1888 and again in the early 1920s, leading to Great Clowes Street being closed to ‘mechanically propelled vehicles’ in 1926. Many schemes for addressing the problem were considered and attempted, beginning in 1882 and ending, after further landslips in the 1940s. The first scheme undertaken in 1882 revolved around drainage of the Cliff. A retaining wall at Great Clowes Street and further drainage were considered but not attempted in 1887. In 1901 and 1907, it was proposed that a river wall was built. In 1925, a concrete and brick retaining wall was built to address a local slip behind Sycamore Cottage. On 15 July 1927, the worst landslip happened, causing part of Great Clowes Street to fall away. It is this event which seems to have been the cause of the abandonment of Sycamore Cottage, Kersal Lodge, Willow House and Kersal Dale Villa. While all are listed, together with occupants, in the 1927 directory, they are absent from the directory for 1928. With grateful thanks to; Peter Ogilvie at the Salford Museum and Arts Gallery, the staff at the Local History library for their help; to Davina Miller in her research: and The Art of seeing.